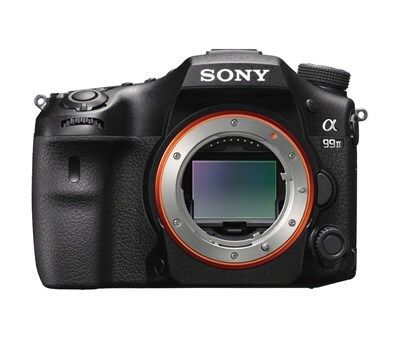 The a99 II is designed for speed, with an ergonomic body design and redeveloped shutter able to hit 12 fps, with full AF and AE capabilities. It also uses a Hybrid Phase Detection AF System that combines a 79-point dedicated AF sensor with a 399-point on-chip focus system for fast, accurate focusing in all conditions. for video, a new S&Q Motion setting permits the capture of Full HD video at a variety of frame rates ranging from 1-120 fps.